Iso​laz®​ acne treatments are available at BAXT CosMedical®. 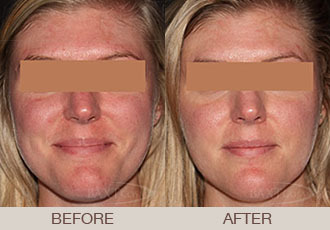 Isolaz® acne light treatment is unique as helps to treat acne at the root cause of the acne. The technology ​is a photopneumatic device (intense pulsed light with suction) that kills bacteria and unclogs pores and helps put acne into remission*. If you are one of the more than 60 million Americans who suffer from acne and are looking for an acne treatment that works, ask the board certified dermatologists at BAXT CosMedical® if Isolaz® acne light treatment is right for you. How Many Iso​laz® Light Treatments are Needed? Iso​laz®​ acne treatments are done on a weekly or bi-weekly basis for the first few treatments. BAXT CosMedical® dermatologists recommend a series of five treatments to start, and then maintenance every 3 to 6 months. We encourage you to call our office and come in for a dermatological consultation with Dr. Rebecca Baxt and Dr. Saida Baxt​ so we can see if Isolaz® acne treatments are right for you. Our board certified dermatologist have years of experience and are skilled in laser and light source technologies. At BAXT CosMedical® we offer all types of acne treatments that fit any budget: creams, pills, chemical peels, Intense Pulsed Light, Photodynamic Therapy and Smoothbeam Laser.